One of the best leftover turkey recipes around. Make a simple turkey sandwich using this easy recipe. 1 Spread It: Spread Hellmann's® or Best Foods® Real Mayonnaise generously on 4 bread slices. 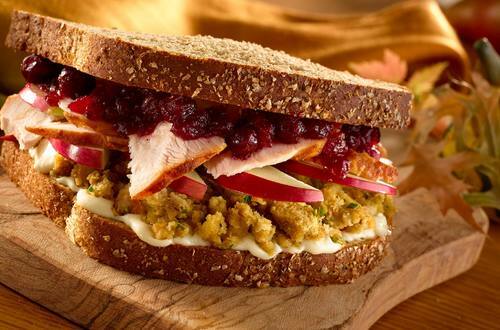 2 Layer It: Layer stuffing, turkey, cranberry sauce and apple on bread slices. 3 Top It: Top with remaining 4 bread slices.